Join Rachel Grunwell & Beatnik Publishers for this special Mother’s Day Book Launch. New Zealand wellness expert Rachel Grunwell interviews more than 30 experts globally to create a comprehensive book that will help you live a healthier and happier life. Respected journalist Rachel Grunwell interviews 30 experts globally to get the best of tips on how to uplift your mind, body and soul so that you can live your best life. Along the way, Rachel also shares her story on how she went from being an unfit, stressed out investigative journalist and mother, to someone who is now a multi-marathoner and wellness expert who coaches others with fitness and lifestyle plans. "I am not a Poet" is a series of thoughts that reflects the social and internal idiosyncrasies which each one of us goes through. It is not a pedantic read or a lover's parody but reflections on the real life from the eyes of the author-an awakened dreamer, who doesn't want to leave her dreamland yet wants to stay close to reality. She depicts the aberrations of the customary life through her art and unfolds the thought that went behind it. She touches upon multi-varied dichotomies in life, that starts with tracing a woman's journey, then dwelling into explaining the internal and external conflicts of an individual's convictions. In the denouement of the narrative, the author expresses her own journey as an artist. It largely supports the notion of self-reflection and acceptance. A Social Anthropologist by profession but an awakened dreamer in real, who doesn't want to leave her dreamland yet wants to stay close to the reality. Roohani is highly inspired by the tribal regime and is on a voyage to explore the intricate ideologies that run parallel to the tribal society. Her education in the field of Sociology intrigued her into exploring the eclectic philosophies that govern the social systems. The same is well reflected in her art and publications. She is a published author and a fine artist. She wishes her work to be a catalyst to evoke thoughts of social and personal reformation. This is the theme of the celebratory launch of Simon Hertnon's (writing as William Henry) debut novel, The Julian Calendar. You could write a book about how this novel came to be, but we'll just say the first draft was finished in 1993! The novel, which has been described by advance readers as "deeply moving", "a beautiful and sensitive story", "vividly and warmly told", and just plain “wonderful”, is a fictionalised account of the first year of Simon’s real-life relationship with expat London bookseller, John Garmonsway, who died last year in Wellington, aged 89. The story is told alternately in the voices of the odd-couple main characters, Daniel, a sensitive young photojournalist, and Julian, a retired publisher who lives in an 'Aladdin's Cave' of books and music. Both men have lost the courage to love unconditionally and, to complicate matters, Daniel is heterosexual and Julian is homosexual. Set mainly in London, the story follows Daniel’s journey to release himself from a failed love affair with an Australian nurse. But can he really let go of the ghost-love that is melancholy? Against a vibrant backdrop of literature, music, travel, and humour, Daniel and Julian explore a new kind of love – platonic and restorative – that is no less rewarding, or risky, than the romantic love that has already scarred them both. Come along and buy a signed copy of this remarkable and poignant debut novel. 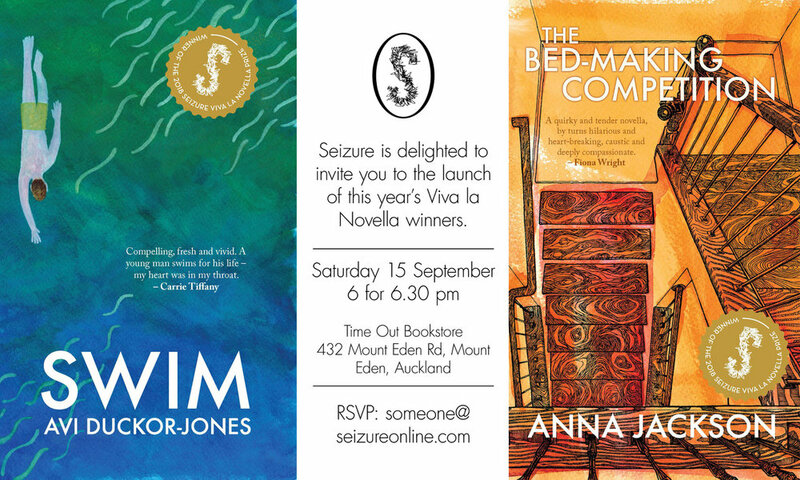 Simon, the author of three non-fiction titles, will say a few words, read a few passages from the novel, drink a toast to John, and probably be very emotional. Refreshments provided. 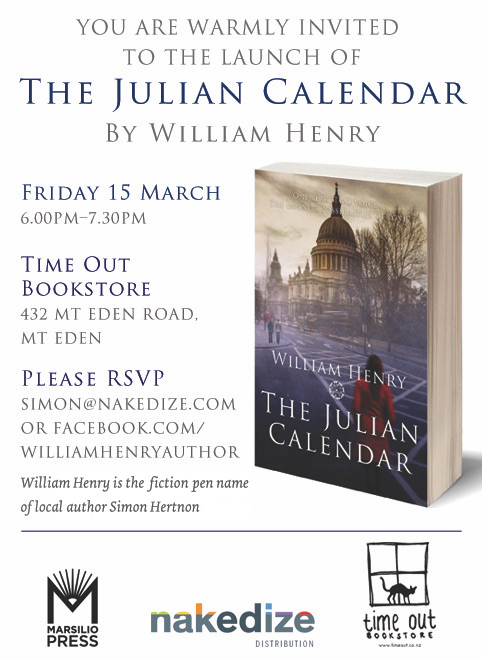 Please RSVP to simon@nakedize.com or sign-up for the event via facebook.com/WilliamHenryAuthor. Join Mark as he celebrates the launch of his new book, Word to the Wise.